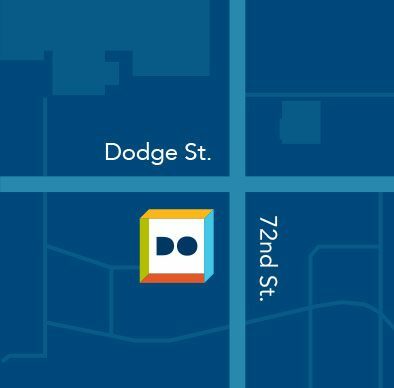 Calling all Omaha tech makers! Do Space invites you to participate in Make Omaha 2019 on Saturday, April 13, 2019. This year’s Make Omaha is a tech based maker event. 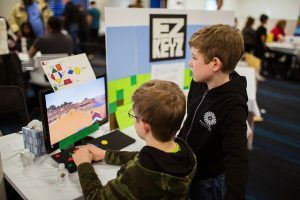 From using technology to create physical items, to more software based creations, to wearable tech, we want to see it at Make Omaha! 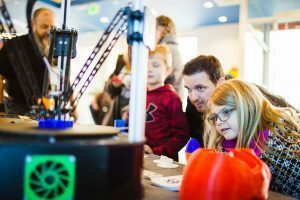 We are looking for technology based exhibits ranging from using technology to create (3D printers, laser cutters, sewing machines, wearable tech, etc), making technology (robotics, engineering, apps, websites, digital artist and animator etc). Makers can be from all ages and backgrounds. The aim of Make Omaha is to entertain, inform, connect and grow this community. Bring your ideas, projects, and inspiration! Last year, we had makers using all sort of technology from 3D printed prosthetic hands to lamps, fans, and amps made from found objects. Let’s see what other innovative creations the Omaha community has to offer! To apply, fill out the application form. The call for makers will be open until March 11th. See you at Make Omaha! « Organize Your Email in the New Year!